Moving from one place to another can be a bit daunting – but it doesn’t have to be! With a well thought out plan and a little preparation, the process can be smooth, worry-free and budget-friendly. Whether you’re a college student looking for some money-saving techniques or a busy professional looking to save on time, a moving checklist will help put your mind at ease and ensure the move is a successful one! Set the date. The first step in planning a successful move is to pick a date that is most conducive to your schedule. If you work Monday through Friday, then scheduling your move on a Friday may not be the best idea. However, if you happen to have a weekday free, consider moving during the week to avoid busy weekend traffic and crowds. If you plan on hiring movers or asking friends to help, be sure to contact all involved parties ahead of time to inform them of you moving plans. Packing materials. Before you spend money on boxes and other supplies, call local stores to see if they have any boxes they plan on disposing of. This is a great way to cut down on moving costs. If you’re using a moving company, be sure to ask if boxes are included or if you need to provide your own. As you’re packing be sure not to pack boxes too heavy. Place heavier items in smaller boxes so they’re easier to carry. Keep stacks of boxes away from hallways and doors so both you and the movers can easily get around the apartment. Plan ahead. The biggest stressor when moving is not having enough time to efficiently organize and pack your belongings. Take a few minutes to carefully evaluate the size of your apartment and its belonging – how long do you think it will realistically take you to pack? Once you’ve established an estimated timeline, start packing one room at a time. If you try to jump back and forth, you’re likely to get overwhelmed. Group items. Pack methodically. Label or color code each box with the corresponding room and a brief, generic list of what’s in each box (ie. Kitchen items). After all, the last thing you want to do when you get to your new apartment is spend days sorting through mixed boxes. You won’t be able to find anything, and frustration will build quickly. If the boxes are marked, the movers will know where each box goes – making it a lot easier for you when you start unpacking. You've got mail. Once you know the address of your new apartment, be sure that you start the process of forwarding your mail. Check out tips for how to tackle the mail forwarding process here. Set-up utilities. The quicker you get your utilities setup, the more comfortable you will be. The last thing you’ll want is to move into your new apartment on a hot summer day with no air conditioning! If you start school shortly after you move-in, you’ll likely need internet access pretty early on. For information on setting up utilities, check out our utility set-up guide. Move-in inspection. Upon move-in you’ll be asked to complete a move-in inspection. This is your opportunity to thoroughly examine your new Tallahassee apartment and note any damaged or missing items. From the stain on the living room carpet to the nail holes in the wall, be sure to note anything that looks questionable on the move-in checklist. Pro tip: take pictures of the apartment before you start unpacking. These photos will help show how the apartment looked upon move-in, should there be any discrepancies in the future. 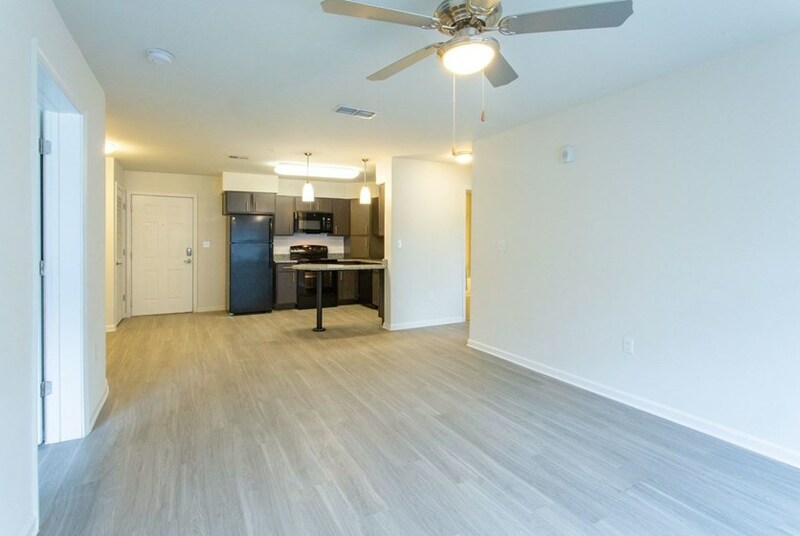 With a little bit of planning, moving in to your new Tallahassee apartment will be stress-free and fun. Welcome home!